As a professional, it’s essential that your clients, potential clients, and treatment stakeholders all know, like, and trust you. That’s the foundation of all human communication. “Trust is REQUIRED for people to do business with you“, explains Dr. Simone Alicia, our guest in this episode. Trust is built through effective communication. When you see yourself as competent and competent, others take you seriously and have trust in what you do. As therapists, we need our clients to trust us BEFORE and DURING therapy. However, the way we communicate with potential clients must be different than the way we communicate in the therapy room. Otherwise, we’ll make the wrong impression with potential clients and actually sabotage our success. Simone is an NLP practitioner, and has used her expertise to develop strategies to help professionals become more powerful communicators. The first time I met Simone, I was drawn to her. She has a magnetic energy that just lights up a room. She’s a living example of the power of her strategies, and in this interview she explains how you can incorporate these strategies as well. 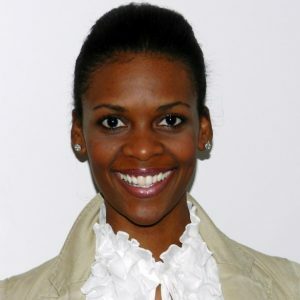 Dr. Simone Alicia is The Self Esteem Doctor and certified Neuro Linguistic Programming Practitioner. Her success comes from providing high-energy presentations, private sessions and a variety of services and classes for personal and professional development. Dr. Simone’s mission is to reduce stress and improve overall success with power of self-esteem! You can learn more about her work at http://www.theselfesteemdoctor.com. 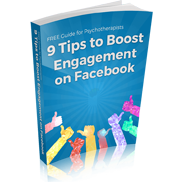 9 tips for highly engaging posts, and we've even included examples for each!